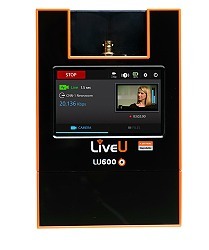 Spain's Lavinia uses LiveU's cellular bonding technology for live video coverage. Hackensack, NJ, October 2018: Spain-based Lavinia has recently turned to LiveU to increase the quality of its newsgathering technologies and to handle the increasing demands placed on news operations. Lavinia provides complete outsourced newsgathering services to many broadcasters in Spain and all over the world (through its international division, Alice Production, based in Brussels). Lavinia provides services in Spain to nationwide broadcasters such as Mediaset España, the market leader, which owns and operates seven free-to-air TV channels, as well as to many other regional broadcasters.